This is a handmade traditional whisky tumbler with a solid bubble base. 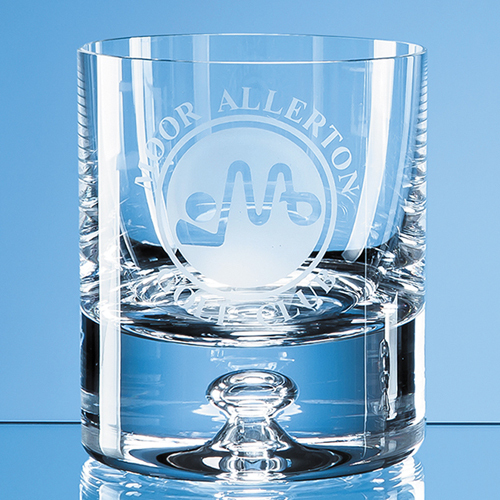 It can be transformed into a personalised gift or keepsake with sandblast engraving. Add any logo, crest or wording to this handmade tumbler to create a gift that can be displayed at home or in the office.